[Update 2] A new trailer has confirmed that Vanquish will launch on Steam on May 25th. All those who purchased Bayonetta last month will receive a 25% discount. Among the PC exclusive features will be unlocked framerate, unlocked resolutions and more. 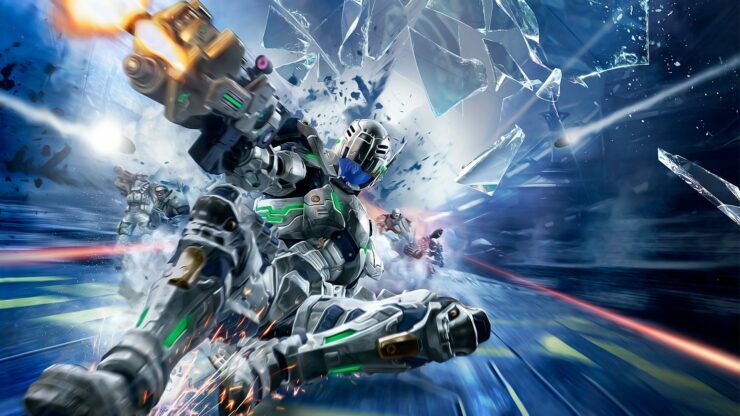 [Update] SEGA shared yet another teaser today, which seems to indicate that Vanquish will launch on PC on May 25th. [Original Story] With each passing day, the likelihood of a PC release of Vanquish, the third person shooter developed by Platinum Games, seems to increase. Two days ago, SEGA shared a new teaser which seemed to hint at a Vanquish release this year, and a few hours ago the Japanese publisher shared another one hinting that this release may happen soon. On its official Twitter profile, SEGA shared another image with a number 5 on it, hinting at the current month. While the image doesn’t seem to be a Vanquish screenshot, it’s highly likely that it’s related to the other day’s tease, which was a screenshot of the game’s main antagonist. Vanquish is among the most interesting titles released by Platinum Games, combining high speed action and precise shooting. 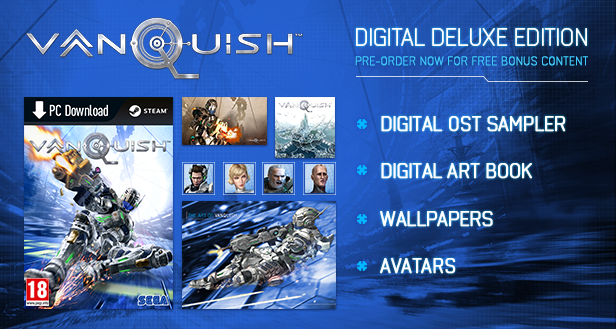 Vanquish is now out on PS3 and Xbox 360. We will keep you updated on the possible PC port as soon as more comes in on the matter, so stay tuned for all the latest news.